SKU: R119. 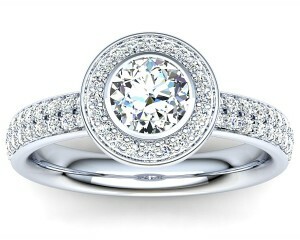 Categories: Halo Designs, Engagement Rings, Fancy Shape Stones, Pavé Settings. Our Bianca is a very popular halo engagement ring design featuring a stunning cushion cut diamond as centre piece, embraced by a fine diamond pavé band.